This is a perfect spring-like salad on a cold and rainy February day. 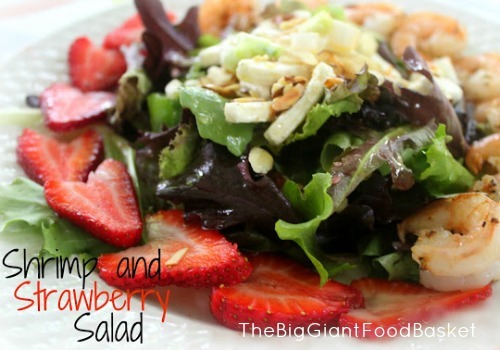 I like the shrimp warm when topping a salad like this, it tends to melt the goat cheese just a little, and then you get the crunch of the almonds plus a little of the sweetness of the strawberries. You can also use red raspberries or raisins instead of the strawberries depending on the time of the year...both work nicely. I toss this salad with nothing more than a drizzle of olive oil, white balsamic vinegar and a hint of sea salt and fresh cracked pepper. And here's the nurse in me coming out...if you pair a fruit rich in vitamin C like strawberries, with a food containing iron like the spinach, the vitamin C will actually help to boost the absorption of the iron during digestion when these two foods are consumed together. A little tidbit from your foodie friend here!!! "Barb, I made this for dinner tonight...it was fabulous! Rave reviews from the meat-and-potatoes-husband, too. Served it with butternut squash soup. I never tried white balsamic before, definitely two thumbs up. I like to make my own salad dressing because I don't like the list of unpronouncable ingredients on the bottled stuff! 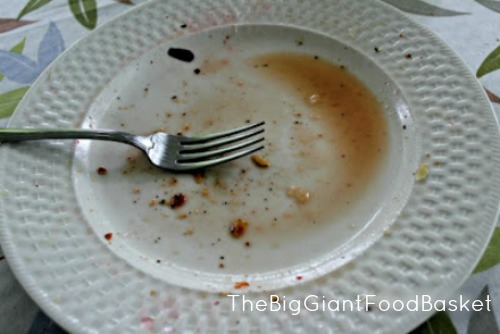 I love your food blog, and looking forward to trying more recipes...yum!"